"Stumped" featuring Maureen Beck is part of this year's Reel Rock film tour (picture by Cedar Wright/courtesy of ReelRock). Today I want to recommend a new climbing movie to you. “Stumped” featuring Maureen Beck. Maureen may have been born missing her lower left arm, but that hasn't stopped her from going hard. She pushes her “stump” to the limit, takes whippers on 5.12, and crushes overhanging boulders, while shotgunning beers between burns. 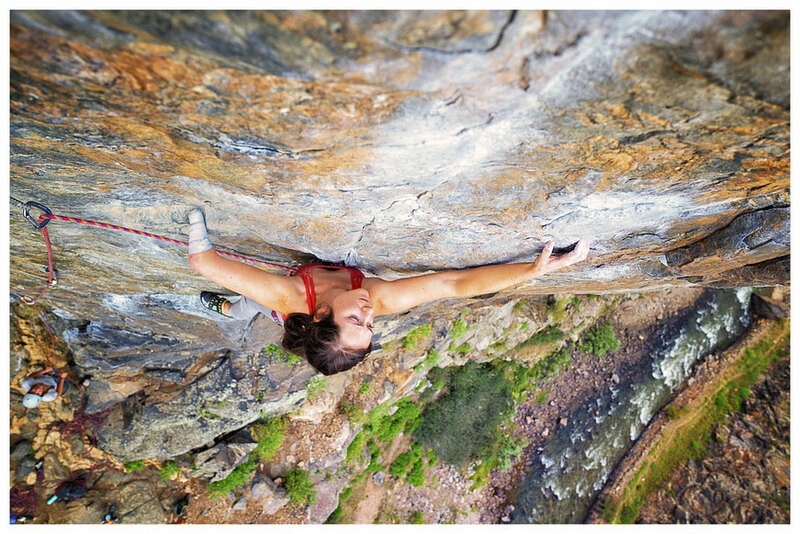 She certainly isn’t making excuses for herself though, ”I don’t want to just be a good one armed climber,” says Beck. “I want to be a good climber.” So if you have the chance the watch this movie, go and do so. For more information check out the Reel Rock homepage.